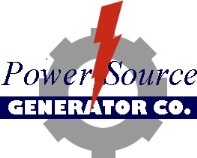 Power Source Generator Company provides complete repair service on all of the products we represent. We are the first-choice candidate when it comes to getting repairs accomplished quickly and efficiently. We carry a vast inventory of generator units and parts in house and we are also able to drop ship from several locations across the country. Our repair personnel are fully qualified and constantly train to ensure you get the best service possible on both warranty and non-warranty issues. We provide the absolute best when it comes to preventive maintenance. Whether its remedial or preventive maintenance, nobody beats Power Source. We can show you how to get the absolute maximum value from your purchase. And, we strive to do it at the most economical price.